How many times can we hammer home that making backups is critically important? Well, experience shows time and again that people think the process is complicated and put off making it a part of their daily, weekly, or monthly routine. 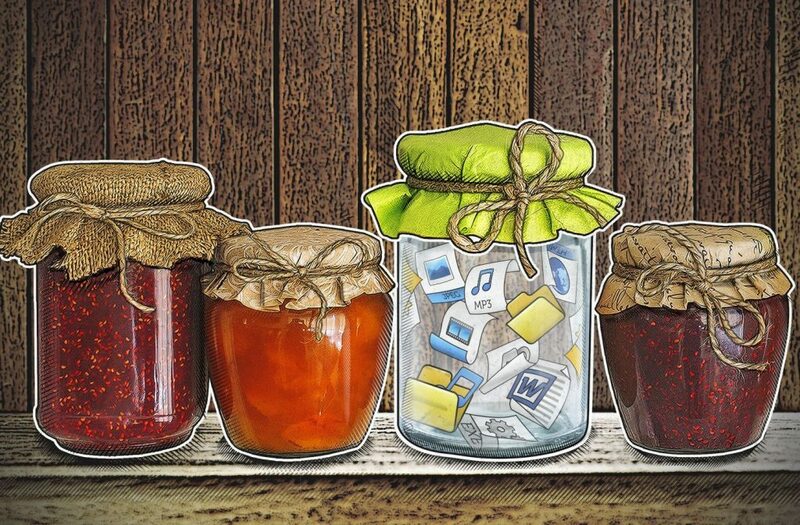 How should you make backups? What must you back up? Where will you store the backups? We have many devices but little time, and so all too often, backup is postponed. In this post, we address the most pressing backup issues in the following order: when, where, what, and how. Now, not all data has the same value, and not every file is updated as frequently as every other. So if you work on a large project every day, for example, it’s a good idea to make daily backups of the project files so as not to lose a week’s worth of work if (or, let’s face it, when) something happens. On the other hand, a folder containing holiday snapshots might be updated once a quarter and can most likely be backed up about that often. The main principle governing the where of backups is that they need to be saved on something that is isolated from the main system where the data is located. Only then can you be sure that your data will be safe if the device is attacked by cryptoransomware. The three main options are USB flash drive or external hard drive, network attached storage (NAS), or cloud storage, and your choice comes down to which is most suitable for you. A USB flash drive is compact and portable, but frequent overwriting can wear out flash memory, so the reliability of such storage is a major issue. What’s more, the small drives are easy to break or lose, so they are not highly recommended for regular backups and permanent storage, although they can serve as convenient auxiliary tools. External hard drives’ advantages lie in their large storage capacities and relatively low cost per gigabyte. On the down side, external drives are not very portable. Also, as with flash drives, their backup schedules need to be managed independently, and they must be connected physically every time data needs to be copied. Another drawback: Hard drives are not terribly rugged; they don’t appreciate being dropped, so this type of storage needs to be handled with care. Network attached storage is essentially a small computer with hard drives that is accessible from your local network. The option to configure automatic backups, relieving you of the task, makes this storage very handy. The chief drawback is the price. Because a NAS is a computer, it costs about as much as a computer. It also needs to be configured so that it is not directly accessible from the computer as a network drive; once inside a computer, many cryptors can encrypt network shares as well. Cloud storage is an excellent option in terms of mobility and access to files from any device anywhere in the world. Just remember that the cloud is basically someone else’s computer, so if you opt for cloud backup, you need to make sure your data is in good hands. Moreover, the cloud backup will be physically located off your premises — and someone could try to gain access to it. So when choosing this backup method, pay attention to whether (a) the service uses encryption and (b) the connection used to transfer data between your computer and the service is secure. Every device you use should be backed up: computers, laptops, smartphones, tablets, and even portable game consoles if possible. Backing up your smartphone is just as important as backing up your PC. Most of us take photos on our smartphone, and not all of them end up on the desktop or on Instagram. Luckily, mobile operating systems provide an option to back up smartphone content, data, and settings. Backups on iOS devices are made to the iCloud service or, when connected to a computer, to the local iTunes folder. iCloud offers 5GB of free storage, after which Apple charges a fee. Under Android, some data is backed up to Google’s servers — make sure “Backup my phone” is enabled in the settings — and third-party software is needed to handle the rest. We strongly recommend that you configure backups of the system and application settings at the least. Phones can be lost, stolen, or damaged in any number of ways, and a proper backup will not only save important data, but also let you set up a new device in minutes, not hours. We already mentioned that backups should be automated. There’s no shortage of automatic backup solutions out there, but naturally, we recommend using the self-explanatory Backup component of Kaspersky Total Security. It lets you configure everything the way you want it. First, select files for backup (the what): everything, photos and images, videos, or music. Another option is to assign individual folders from which all files will be backed up. You can also choose where to save backups: to a secure cloud-based online storage, an external drive, or NAS. All that remains is to configure the when — the backup schedule: on demand, daily, monthly, or at another time interval you set. And whether you choose to make regular manual backups or to entrust the job to the system, the key is to do it. An hour or two is time well spent to insure your data against the accidents and incidents that have a nasty habit of occurring at the worst possible moment.